Brian Quinn is a Commercial Transport Inspector. 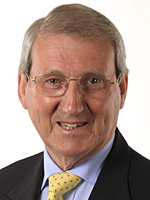 He has been a Crawley Borough Councillor for 20 years and is a former Mayor. He has been married to his wife Sue for 44 years and has two daughters and two grandsons. His hobbies include golf and going to the theatre.